Over 100 Bands - 8 Days - No Cover! As our way of saying thank you for 39 years of continuous support we are proud to present our 39th anniversary! 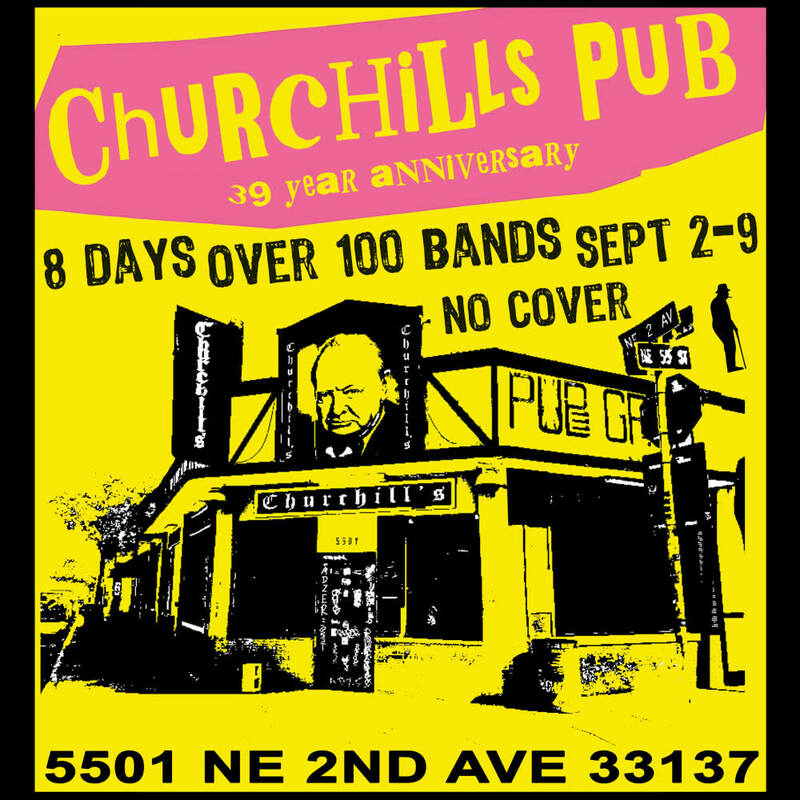 39 Years of Churchill's kicks off Sunday September 2nd and lasts 8 days! With over 100 bands playing and no cover all week! Thank you to everyone for your support of Churchill's and the Miami music scene. We hope to see you out this week at a show! Check out the full line-up and all the cool fliers below. Plus over 25 Vendors, Food Trucks, and more!